Hi ya’ll! Today’s post is a bit of an experiment that we are both embarking on, as I have never done this until I was photographing the pictures below. But I figured it would make for an informative post and also, let’s see if this really works. So I’ve had this bronzer compact for I literally don’t even know how long. 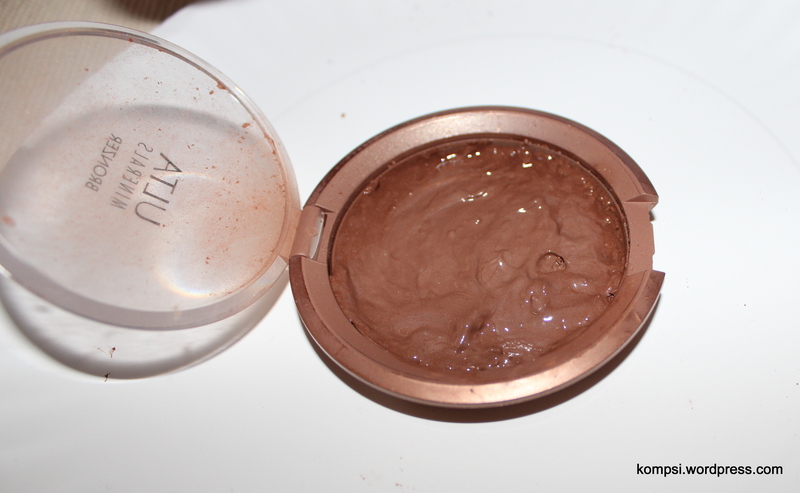 I use it almost daily and I’m pretty sure Ulta magicked it into a regenerating never-ending bronzer because no matter how often I use it, I can’t seem to get to the end of it! It’s become a mission. 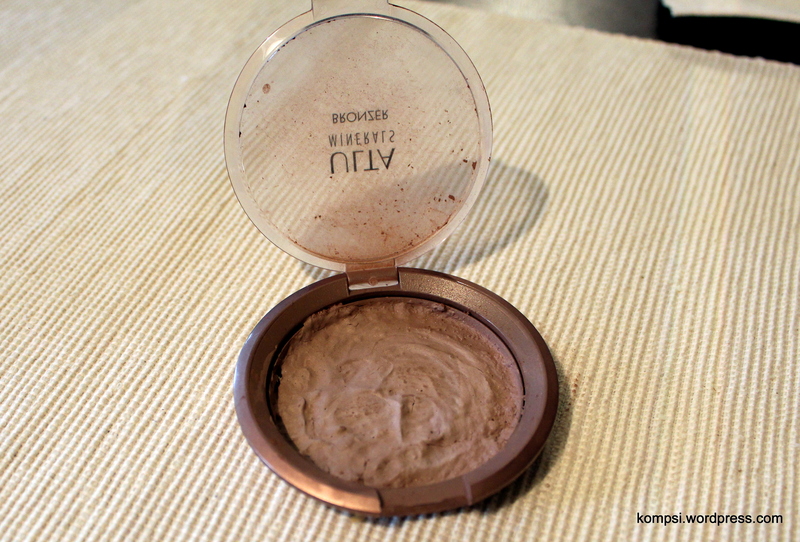 I will completely finish this bronzer. Someday. 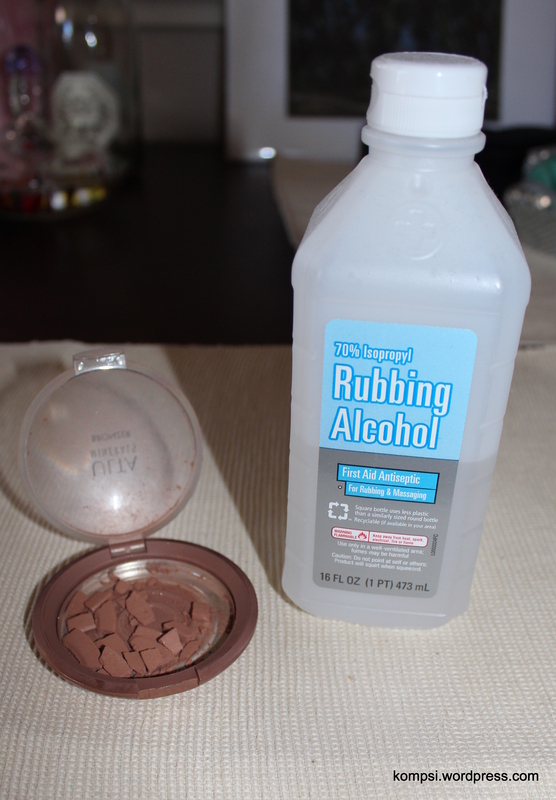 It only recently broke the other day, so it was a good opportunity to try the rubbing alcohol method of fixing broken pressed powders that I see so often suggested on Pinterest and Reddit’s Makeup Addiction sub. The first step is to crush up all the big chunks. 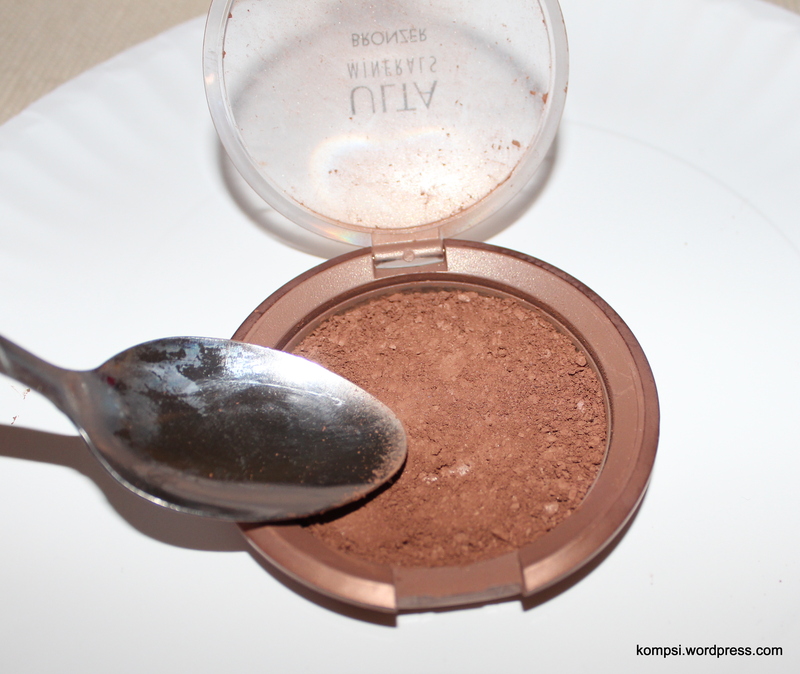 I just used a spoon, but use whatever utensil you don’t mind getting some makeup on and that can withstand alcohol. After crushing up what’s left, smooth it all out as evenly as you can. Add some rubbing alcohol. I don’t think it matters the percentage of isopropyl, as the alcohol will dissipate as it dries (supposedly). I used just enough to wet the leftover bronzer and spread it out again. After that, just let it dry overnight. I left the lid open on mine. So after approximately 24 hours have passed (or when it looks like the powder is dried), you’ll have your finished product! At this point, there is no alcohol smell at all as it has all dissipated while drying. I thought it looked a little dull initially, but after I swatched it I noticed that the pigment was not affected in any way. It’s just they way the product dries after being mixed. I hope this is a helpful tutorial that will result in less wasted product for you! 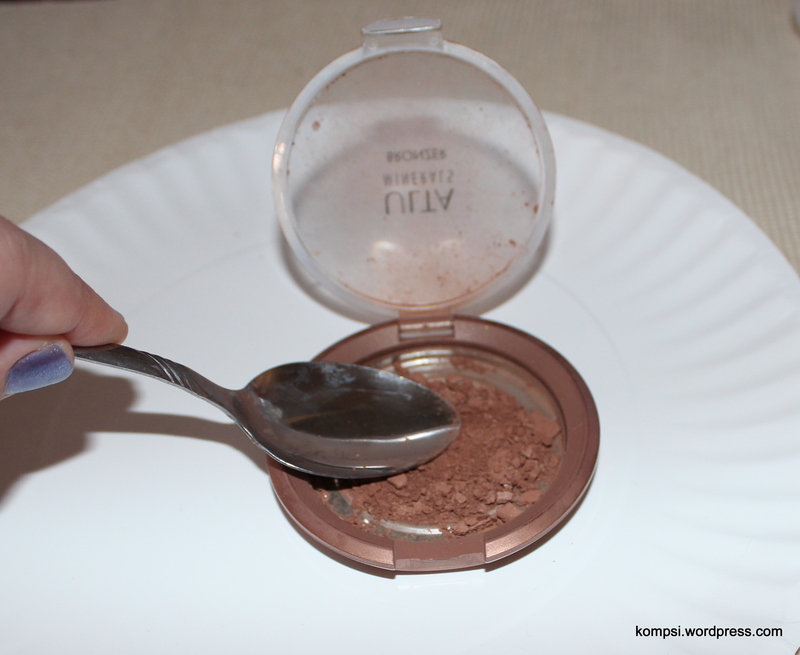 Now the next time you accidentally break an eyeshadow or even if you hit major pan on a compact, you know you can salvage it into a useful (and not messy!) product again. That’s great! I’m glad you were able to get the info you needed! Thank you!! Great idea, I needed this.